A woman from Arkansas was left on the brink of death after being bitten by a poisonous baby spider. As she slept, Claressa Coleman was bitten by a brown recluse, and it almost cost her her life. Speaking for the first time about her terrifying ordeal, Coleman said, “I can’t believe a baby spider nearly killed me!” She felt a little “pinprick” in the night, and she assumed she had been bitten by a mosquito. 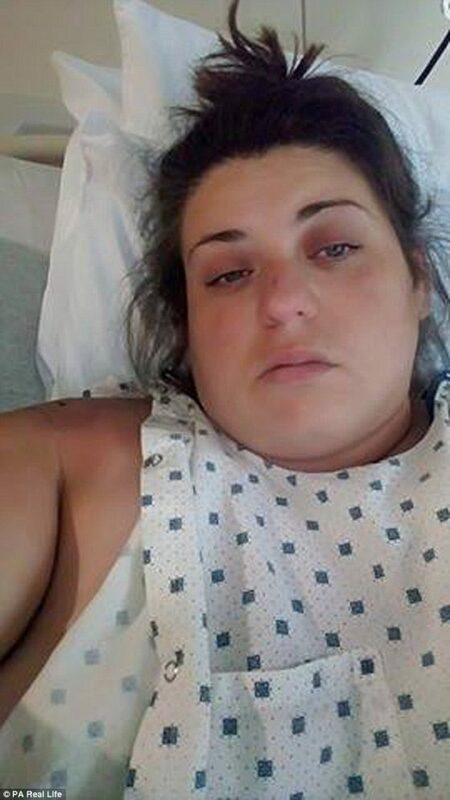 She was unaware of the tell-tale symptoms of a brown recluse bite, such as the black mark where she was bitten and the bouts of vomiting. But the blood tests confirmed the doctors’ suspicions. Coleman was allergic to the baby spider’s poison, which caused her kidneys to fail. She also had convulsions in her stomach every five minutes, leading doctors to believe she could be pregnant. Coleman’s entire body swelled and she became almost unrecognizable. Doctors gave the 29-year-old woman blood tests and dye injections which indicated she had the poison from the notorious brown recluse spider in her body. The arachnid is one of North America’s three venomous spiders, alongside the black widow and Chilean recluse. Doctors believe that Coleman was bitten by a baby spider despite the fact that its impact on her body was far from small. The spider had bitten directly into an artery, injecting its poison straight into her bloodstream, so it raced through her body quickly making her much iller and more susceptible to its venom. She was also allergic to the venom, which made her month-long hospital stay agonizing. After her kidneys failed, Coleman was hooked up to a dialysis machine, sedated, and had the dead skin cut from her arm. If you suspect you’ve been bitten by a brown recluse spider, you should go to the emergency room immediately. This is because, in the unlikely chance that you do have a complication, it can be a serious condition. These can include blood disorders, kidney failure, coma, or even death. Complications like these are more likely to happen in children and older adults. Not all bites are life-threatening, but they can progress quickly, as Claressa Coleman found out. Next NY Butcher Gives Black Delivery Driver a Noose: "You Can Use It When You’re Stressed & Need to end It All"